Kart racing, bomb threats, and the police try to save Battlefield 4. (No word on whether Sting makes a cameo.) This is gaming news you need to know for the week of May 26. Star Citizen recently surpassed $44 million in funding, making it by far the most visible crowd-funding effort in video games. All eyes are on whether it succeeds or fails. So far, things have not been going quite as planned. The game has been broken into modules, each of which will be released to backers separately before the entire game becomes available. The second module for Star Citizen, dubbed Arena Commander, is a dogfighting multiplayer game. It was originally slated to ship late last year, but was delayed. Now it's been delayed a second time because of game-breaking bugs. The team promises daily status updates until the module's release, but it's cause for concern. After all, considering how large and expansive Star Citizen is, at this rate we can expect the full game to ship sometime after humanity has already taken to and colonized the universe. Or after Half-Life 3. Whichever comes first. Sure, Mario Kart 8 released this week, but what's a karting fan to do if he hasn't bought a Wii U yet? Never fear—Arma 3 is here! Wait, what? 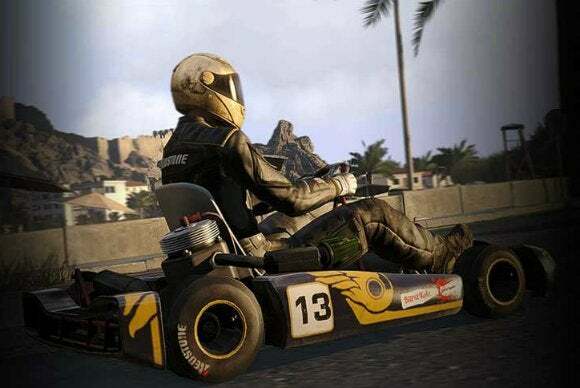 That's right: Bohemia Interactive's April Fool's joke is now a reality, in the form of a kart racing DLC pack. You can get your hands on it for $1.99. Now if only Google would hurry up and build that permanent settlement on Mars. Still feeling burned by Battlefield 4's bugs and bad servers? What better way to pretend all that negative press never existed than to launch a new game? After enough leaks to bring down the Hoover Dam this week, EA went ahead and officially announced Battlefield Hardline, a police-themed entry to the franchise. The game is being developed by Dead Space creator Visceral Games instead of series mainstay DICE (which remains "committed" to Battlefield 4). There's a leaked trailer out in the wild, but apparently those assets are months old. Expect more updates at E3. Video games are dangerous. Proof: This week, an entire floor of a building was evacuated because of a video game. The Australian PR team representing Watch Dogs sent a copy to news publication ninemsn inside a beeping safe, with a note that simply said "Check your voicemail." Since video games don't normally arrive in safes, ninemsn was understandably concerned and thought it might be a bomb. The police were called. The safe was forced open. "What the hell?" was probably exclaimed by at least two police officers in attendance. "We will take additional precautions in the future to ensure this kind of situation doesn't happen again," a Ubisoft representative told Polygon. I'm looking forward to people receiving copies of The Division encased in envelopes full of white powder. I'm starting to get that itch again—to create a family, build them the perfect dream house, watch them grow, start careers, flourish...and then light their house on fire and remove all the doors. The Sims 4 looks like it'll make the process easier than ever with a suite of new building features. You can now place whole rooms at once, set the height of windows, and move entire buildings around on a plot of land. Presumably that last one is used to give your Sims nightmares, as you slowly move the building further away from the sidewalk every day. After running an alpha for new musical shooter Chroma for the last few months, Harmonix is overhauling the concept, according to an email obtained by Kotaku. "Based on the terrific feedback we got from all of you in the community, as well as our own analysis, we have concluded that Chroma will need some substantial retooling to be the game we want it to be," states the email, which was sent to alpha participants. "We remain passionately committed to the high-level vision." Unfortunately the former Rock Band developer's woes didn't end there. The company, which just last week obtained enough money from Kickstarter to generate an Amplitude sequel, laid off 37 employees this week and replaced CEO and co-founder Alex Rigopulos. This time it's Mythic, developer of Dark Age of Camelot, amongst other titles. EA announced Thursday it was shuttering the studio. May you always be remembered fondly for your greatest titles, and not for that awful Dungeon Keeper successor. There was another slew of pre-E3 preview content this week, as I went hands-on with Metro Redux, Bethesda's upcoming free-to-play combat game BattleCry, and survival horror's The Evil Within. In reviews, we answer whether this week's huge release Watch Dogs lived up to the hype. Plus, look for reviews of Amazing Spider-Man 2 and Always Sometimes Monsters later this weekend. And then news! Valve delayed the Steam Controller until 2015, and Brad Chacos discusses the biggest challenges facing the Steam Machine. Battlefield 3 is free on Origin for the next few days, the newest AMD drivers will drop support for Windows 8.0 in favor of concentrating on 8.1, Sony is bringing the PlayStation 4 to China, and Sony CEO Kazuo Hirai sees potential in games-oriented wearables. We're less than two weeks out from E3. I hope you've stocked up on canned food, water, et cetera. See you next week!